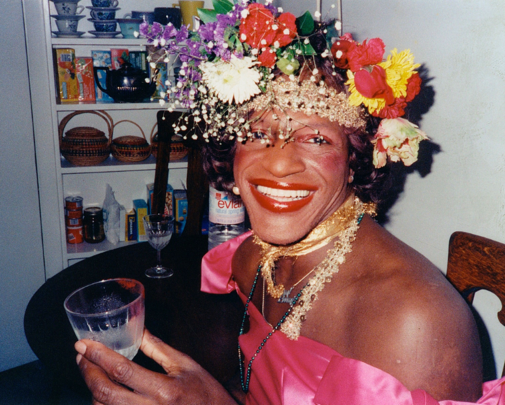 (Boston, MA) – April 8, 2019 – Boston Pride announced today that the organization is naming Marsha P. Johnson as the Champion of Stonewall Honorary Marshal for the 2019 Annual Boston Pride Parade. Champion of Stonewall is an honorary designation conferred by the Boston Pride Committee. The naming of Marsha P. Johnson as an Honorary Marshal reinforces this year’s Pride theme “Looking Back, Loving Forward” in reference to the 50th Anniversary of the Stonewall Inn riots. “Looking Back” refers to the inclusiveness of the origins of the Gay Liberation Movement and that how it was part of a countercultural movement that understood different oppressions as linked. “Loving Forward” refers to the importance of including all people, to listen to their voices, understand their experience and extend support to them. Marsha P. Johnson, a gender non-conforming African-American activist and icon, was one of the most prominent participants in the Stonewall Inn uprising, which started on June 28, 1969 in the Greenwich Village neighborhood of New York City. Johnson had organized a party for her transgender/transvestite friends on the night of June 27, 1969, but met with no-shows as friends headed to the Stonewall Inn instead. She went to join them, determined to party somewhere. She was identified as one of the main participants in the riots that broke out after the police raided the Mafia-owned bar. Legend has it that either she or her friend Sylvia Rivera threw the first brick at police. Johnson and Rivera both denied being the first to act, and most eyewitnesses credit a butch lesbian with igniting the resistance to the infamous police raid. Johnson said the riots had already started by the time she got to the Stonewall. Johnson and Rivera co-founded Street Transvestite Action Revolutionaries (STAR), a group that provided social support and a place to stay for homeless LGBTQ youth. Johnson was known as a mentor for younger gay and transgender people. Johnson, when asked for what the P in her name stood for, famously said “Pay it no mind.” Her death on July 6, 1992 remains controversial. Her body was found floating in the Hudson River. The police ruled the death a suicide and stopped investigating. But friends and acquaintances of Ms. Johnson said she was not suicidal and had been murdered. The case remains unsolved to this day. Johnson joins the other Parade Marshals: Dale Mitchell, founder of LGBT Aging Project, as Grand Marshal; Ava Glasscott, trans model and former Miss Trans USA Pageant contestant will serve as Marshal; and the late Chris Harris, entertainment impresario and longtime supporter of the LGBTQ community, as an additional Honorary Marshal. Harris passed away in January. The 2019 Pride Week kicks off with the annual Flag Raising at City Hall Plaza on Friday, May 31 and continues through Tuesday, June 11. The annual Boston Pride Parade and Festival will be held on Saturday, June 8.